Each time we enter the West Michigan Miracle League field, we're overcome by the generosity of others. Countless people volunteering their time and energy to show kids of all abilities that every kid deserves a chance to play baseball. This Saturday, the Hope College Girls Basketball team showed up in full force ready to be helpers for each of the kids. Cam seemed pleasantly surprised that the helpers were girls this week and quickly said goodbye to his parents. His buddy for the game, Mandy, helped him out when he was up to bat and also had Cam throw her the ball when they had a few hits head their way. It's refreshing to watch a sporting event where truly the motto is "it's not whether you win or lose, it's how you play the game!" 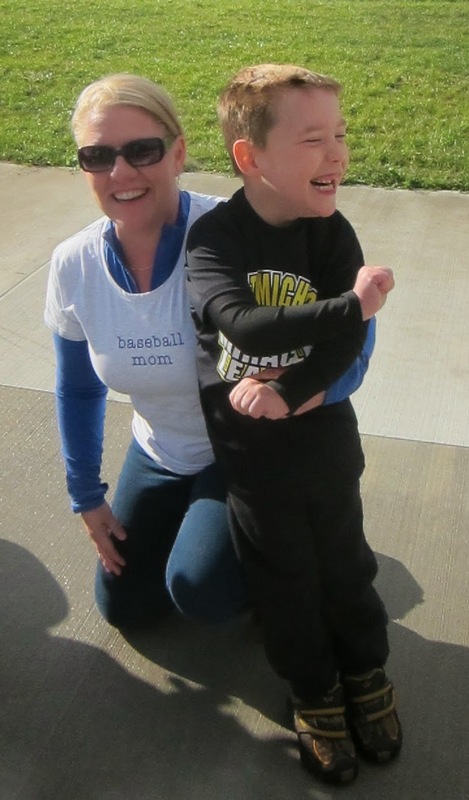 One of Jane's closest friends, 'Auntie' Karen gave her the "baseball mom" shirt which was proudly worn the day of the game. 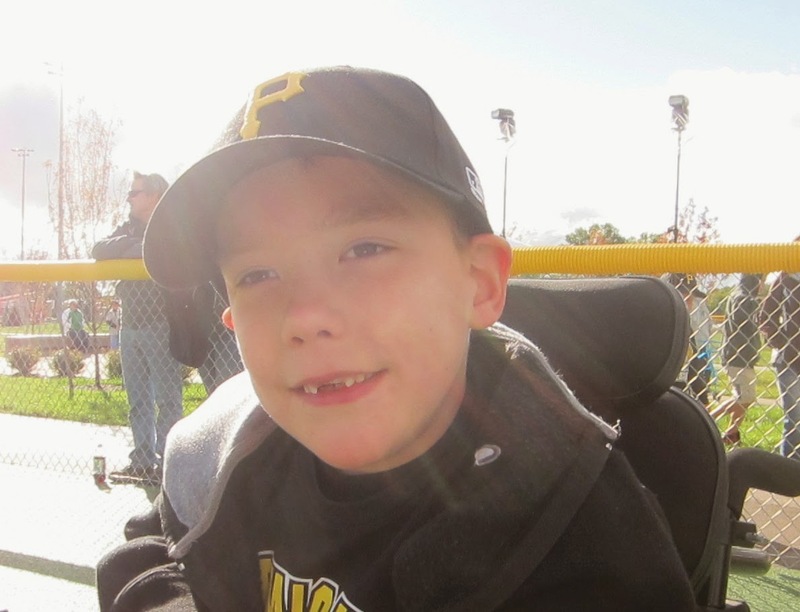 Cam is cheering in the picture and couldn't have been happier to play ball once again. His parents felt incredibly proud cheering him on from the stands. Some crazy fort-building also took place as Chris, Cam and Emma outdid themselves putting this creation together! 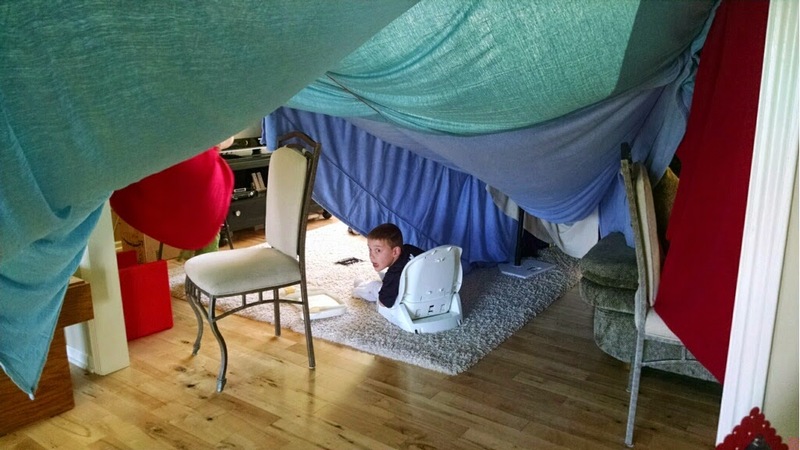 They definitely garnered the award for "most creative use of rope, sheets, and binder clips" and of course, "Best...Fort...Ever!" 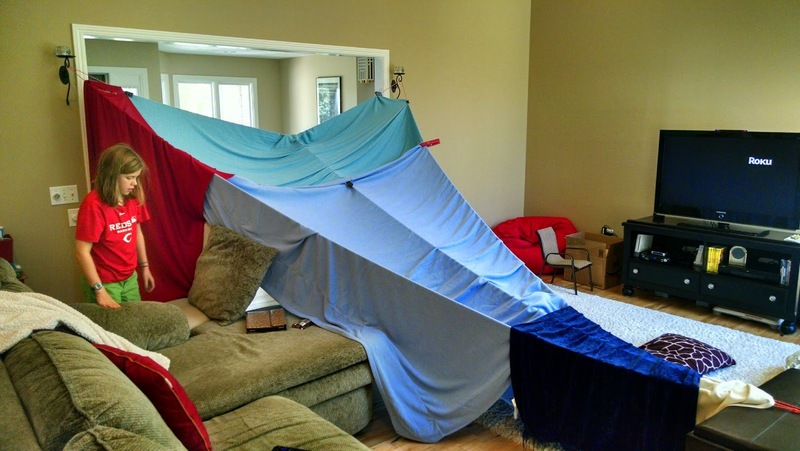 If you have a chance, do yourself a favor and build a fort soon!